Sorry I couldn’t help myself. This week is peach week here on the K.C. fat disappointment, but this season they are simply perfect! at the bottom of this article. There is nothing better than a perfectly ripe, juicy, drip-down-your chin, naturally sweet, summer peach. Peach season, June through September, is here and is gracing produce stands with a sunset of colors. Originally from China, peaches quickly spread through the European continent and were later brought to the United States by the Spaniards in the early 1600’s. Peach trees thrive in warm temperate climates, and today can be found growing in Georgia, California, Texas, and South Carolina. Peaches, along with plums and apricots, belong to the rose family. They are a stone fruit due to the hard seed or pit found in the center. Peaches have a distinct rosy blush skin that is covered in a unique fuzz and contain a pinkish-white to yellow-gold flesh. Peaches are a low calorie food, full of vitamins and nutrients. They are an excellent source of Vitamins A and C, potassium, and a variety of vital antioxidants. When selecting, choose peaches that are firm to the touch but whose flesh gives slightly when squeezed. Fresh peaches should have a strong aroma and be brightly colored. 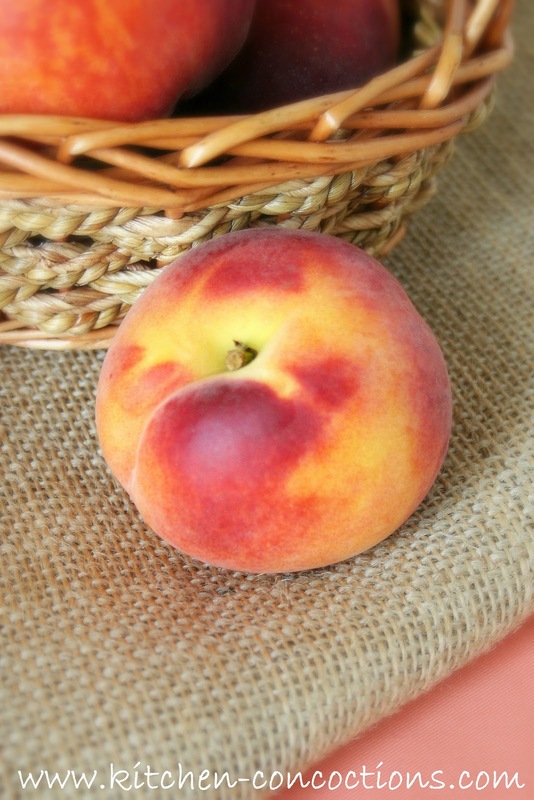 Avoid peaches that are bruised and blemished or overly green in color. It is best if ripe peaches are consumed immediately, however, to store, place in refrigerator for 3-5 days. 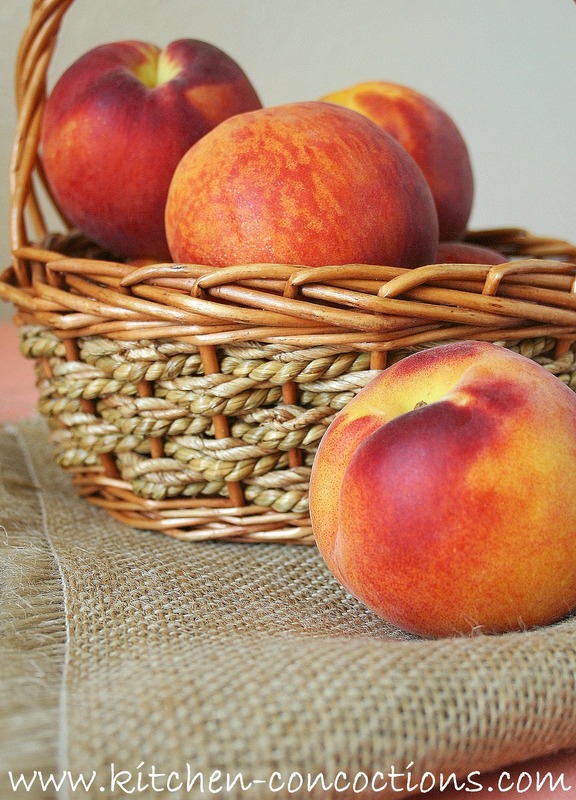 Under ripe peaches should be stored at room temperature until ripe enough to eat, approximately 2-3 days. To freeze, wash, peel and remove the pit from ripe peaches. Place in a tightly sealed freezer safe package and freeze for 3-6 months. There is nothing like a fresh flavorful peach for a simple summer snack; but peaches can lend themselves to a variety of dishes and cooking methods. They can be eaten raw on cereal, in salads or salsa and even blended in smoothies. Bake peaches in pies, cobbles, and cakes or whip up a batch of peach jam. But use caution and remove the skin of the peach before baking as the skin will become tough. Looking for new ways to use those peaches this summer? Check out some of the recipes below that I am ‘peachy keen’ for! Woohooo! I am excited to see what recipes you have! Oh my goodness – peach season is my FAVORITE! 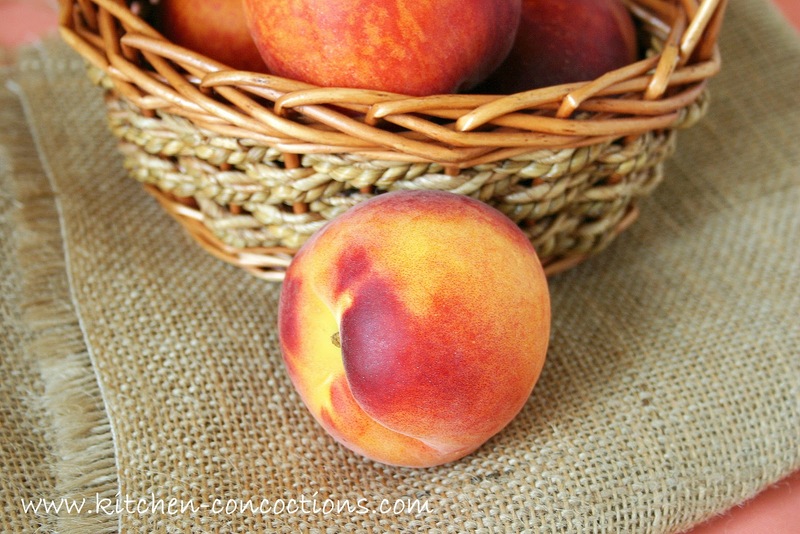 Peaches aren't in season here for a little while longer, but I'm looking forward to seeing what recipes you have coming!